The SBL program book for this year is now available, and Hebrew and Greek Reader has published a helpful list of bibliobloggers who are presenting papers. I’m sorry I’ll be missing some of these, as I won’t be attending this fall. But I do plan on going to Atlanta in 2010. I’ve been meaning to blog a bit on Dale Allison’s The Historical Christ and the Theological Jesus, which serves up musings on the apocalyptic prophet in terms of theological interests and methodology. What struck me most was Dale’s confession that he is as guilty as the next questor for making Jesus in his self-image. He admits he did this in two books. The first, The Intertextual Jesus, argues that “Q” material is saturated with the Old Testament, which the Q texts echo, revise, and argue with –- just as (in Dale’s reconstruction) Jesus himself did. That’s interesting, since Dale has always insisted that Jesus was wrong in his expectations, though I suppose even the fantasy of an apocalypse can be comforting to those who are troubled. I’m put in mind of Paula Fredriksen’s statement that “happy people do not write apocalypses” (From Jesus to Christ, p 82). Places like ancient Palestine were hotbeds of unhappiness, to be sure, but we know that misery is ubiquitous. The human species will never relinquish eschatological hopes. When it comes to methodology, Dale takes a heavy axe to the classic criteria, enjoining us to bid them farewell since they’re just “not strong enough to resist our wills” (p 58). “When you make a trap you know what you’re looking for, and we wield our criteria to get what we want” (p 59). But not so fast. That “we” needs qualification. However right or wrong John Meier is, I don’t for a moment believe he’s been using the criteria to “get what he wants”. In many cases, he has reached conclusions against his will, or at least different from what he expected going into the Marginal Jew project. Yes, many scholars have bent the criteria to their purposes, but others have allowed themselves to be steered into murky and odious tunnels. “What matters is not whether we can establish the authenticity of any of the relevant traditions… but rather the patterns that they, in concert, create. It is like running into students who enjoy telling tales about their absent-minded professor. A number of those tales may be too tall to earn our belief; but if there are several of them, they are good evidence that the professor is indeed absent-minded.” (p 63). On a general level, this sounds like plain common sense, and how can one possibly disagree? On another level, it just sounds like a variant of the criterion of multiple attestation. More specifically, evading individual test cases reminds of the way Geza Vermes prefers to “muddle through” instead of subjecting oneself to more formal controls. I would suggest that memory patterns about Jesus are valid but should supplement rather than supplant the criteria. Patterns get at basics, while the criteria nail down specifics to whatever degree possible. The former checks the latter. In other words, the more a scholar’s reconstructed Jesus opposes general patterns of testimony in the NT, the chances are that the criteria have been bent to the scholar’s will rather than vice-versa. (I’m looking at you, Funk-Face and Dr. Crossan.) Consider the case of Dale himself. As he notes (see pp 59-60), his dissertation used the classic criteria without any discomfort; later, Jesus of Nazareth revised and relativized the criteria; now, this book (and a forthcoming one) completely set them aside. But his Jesus has remained the same — the Schweitzerian apocalyptic –- which would seem to indicate he was on solid ground from the get-go. So maybe all this humility about self-portraits and methodology is a smokescreen, an indirect way of making Dale Allison’s scholarship look better than everyone else’s? Enough cynicism from me. The rest of the book is beyond censure. Dale insists on eschewing low Christologies as much as high, on the necessity of theological contradiction, that Jesus laughed loudly and wailed miserably… Hey, it’s a Dale Allison book, there’s only so much to complain about. Read it, laugh and wail, and pray that we don’t have a long wait for his next book, Constructing Jesus: Memory and Imagination. One of my colleagues at the library has been critiquing film for over a year now, though I became aware of it only last week. Check out Are the Hills Going to March Off?, an arthouse blog authored by Carson Lund. Carson will be launching a David Lynch Blogathon on Tuesday, and I’m looking forward to the ambitious series. To call Lynch “the most singular, important filmmaker and artist working in America currently” is a tall accolade, though I’d have to agree that he belongs somewhere in the top five for artistic integrity. Blue Velvet and Mulholland Drive are towering masterpieces that rank in my 40 favorite films of all time. I dare say, however, that a couple of the director’s lemons would enjoy a home on a list of my most despised films (if I took the trouble to write one up), notably Dune and Wild at Heart. Lynch tends to nail a home run or miss completely — as does any filmmaker whose reach exceeds his grasp. and includes a few other miscellaneous titles. They’re pretty good representative choices, though I agree with Michael Whitenton (in comments) that Schweitzer doesn’t belong in the first quest. His whole purpose was to kill it, and he really doesn’t fit into any period — like many geniuses, he’s a category unto himself. Doug Chaplin is also right that Meier is an essential listing under the third quest for the most comprehensive resource value, and I’d add Allison too. Chaplin (like Allison) takes issue with the periodisation of HJ scholarship, but I think “first”, “no”, “new”, and “third” remain roughly useful, so long as we remember that’s what they are — rough designations not for pigeon-holing scholars too seriously. Chaplin (again in comments) also asks, that if we could read just one HJ book, what would it be? He chooses Sanders. I honestly couldn’t light on just one. I’d go with Schweitzer for lyrical prose (there are days I delight in reading Quest of the Historical Jesus just for the aesthetic writing), Meier for resource value (no project has been more thorough than A Marginal Jew), and Allison for nailing down Jesus as good as humanly possible (even here that’s cheating, because I have in mind his three-book “trilogy”, Millenarian Prophet, Resurrecting Jesus, and The Historical Christ, rather than one work). But if the question were rephrased to something like, “Which single book would I give to an outer-space alien who wanted to know about the historical Jesus?”, I suppose I’d hand over Allison’s Millenarian Prophet. Anyone else care to share a review which deserves a place in the Devastating Hall of Fame? I replied in comments that I think for “eschatology” to remain useful, it should refer generally to what it traditionally has: final dramatic events in history. I think scholarship has allowed the term too much elasticity, especially in the wake of John Dominic Crossan, who seized on the term “world-negation” (by which Schweitzer meant eschatology) and said it could apply to virtually anything — apocalypticism, sappientialism (wisdom), nihilism, mysticism, etc. When we broaden our terms so that they mean almost anything, in a sense they mean nothing, so I would object to making apocalypticism a radical subset of eschatology in this way, even if the terms may not be precisely synonymous. In Jesus of Nazareth: Millenarian Prophet, Dale Allison uses eschatology to refer to “history’s consummation and events directly associated with it”, and apocalyptic to designate “a cluster of eschatological themes and expectations — cosmic cataclysm, resurrection of the dead, universal judgment, heavenly redeemer figures, etc.” — that became fully realized in post-exilic Judaism (p 34, n 103, n 104). If we look at it this way, apocalyptic is simply Judeo-Christian eschatology. In this sense, it is a subset of eschatology, but not in the trivial manner proposed by someone like Crossan. So to answer Pat’s question, I think there is plenty of non-apocalyptic eschatology when you move out of the Judeo-Christian tradition. But for biblical studies specialists who stay focused within this tradition, the terms “apocalyptic” and “eschatological” are often used closely, if not synonymously. I tend to use them interchangeably. While the former may not be ideally suited for the pre-exilic period when certain themes were in gestation, I would never make a rigid distinction between “apocalyptic” and “prophetic” eschatology. Rick Brannan’s new meme asks for “five biblical studies books we’re stupider for having read”, but my list would be rather mundane for including mostly historical-Jesus books. (What sub-field of biblical studies, after all, lends itself to the level of stupidity and wild speculation that called forth Schweitzer and still needs him?) If I were tagged, I’d go with (1) the Jesus Seminar’s Five Gospels (needs no explanation), (2) Bruce Chilton’s Rabbi Jesus (should have been published as a novel), (3) Barbara Thiering’s Jesus and the Riddle of the Dead Sea Scrolls (about as close to something like Baigent’s Holy Blood, Holy Grail while still qualifying as a “biblical studies book”, though just barely), (4) Scott Brown’s Mark’s Other Gospel: Rethinking Morton Smith’s Controversial Discovery (needs no explanation), and (5) Burton Mack’s The Lost Gospel: Q and Christian Origins (an embarrassment to the Q industry, even if you believe in the document). I came up with another meme, however, something perhaps less negative and more constructive to ponder. How about the five biblical studies books or essays you think have made extremely important and necessary contributions to the field, yet heavily disagree with in spite of this? I have in mind scholarship you find yourself burning to agree with, or a closet fan of, envying the author’s critical acumen, applauding the fact that all the right (and perhaps long-overdue) questions are being asked, but regretfully finding most of the conclusions just plain unpersuasive. 1. Morton Smith’s Jesus the Magician. 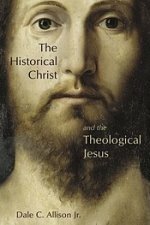 This eccentric portrait of Jesus asked good and hard questions, and propelled historical-Jesus scholarship out of seeing Jesus primarily as a teacher. It got scholars (even secular minded ones) to take the phenomenon of exorcisms and healings seriously. As Ed Sanders put it, “when one shifts from extreme books about Jesus as teacher to Smith’s extreme and one-sided account as magician, one whiffs not only fresh air, but also the earnest sweat which comes from the effort to explain history” (Jesus and Judaism, p 7). You better believe it. Smith’s pagan portrait may be hard to swallow, but it’s more credible than anything coming out of the Bultmann, Kasemann, or Perrin camps. 2. Mark Nanos’ The Irony of Galatians. If you can get a Jewish-friendly Paul out of Galatians, you’re either a dexterous exegete or a naive apologist — or maybe just good at seeing things never spotted before. Whatever the case, Nanos’ reading of Paul’s “ironic rebuke” is tantalizing, carefully considered, plausible, and something I used to find myself wishing to be true for sake of Unitarian-like interfaith dialogue. Yes it was wishful thinking, but Nanos can’t be dismissed lightly, especially with such powerfully convincing treatments of the weak in I Corinthians and Romans under his belt. 3. Bruce Malina’s “Christ and Time: Swiss or Mediterranean?”. This fascinating essay distinguishes “forthcoming” events from “future” ones, or experienced vs. imaginary time. It makes accurate enough observations about agrarian peasants who remain focused on their own generation, but tries proving that they thus can’t be eschatologists/apocalypticists as a result. But a “forthcoming” view of “the end” is no less apocalyptic just for being imminent and grounded in present realities. Frankly, a lot of apocalyptic thought works this way, even in today’s western world. In the end, the essay is a rather desperate attempt to deny Jesus his apocalyptic due — even if more credible than the attempts of Jesus Seminarians like Crossan, Borg, and Patterson. As always, Malina’s work is laced with important insights about the mindset of Mediterranean peasants. 4. Klyne Snodgrass’ Stories With Intent: A Comprehensive Guide to the Parables of Jesus. This recent evangelical treatment of the parables is in many ways “the” study we’ve been waiting for as much as not. It avoids faddishness (rare in parable studies), but it also avoids cultural dynamics (not least honor-shame), and so in the end often interprets the parables opposite how ancient Palestians would have, despite the author’s insistence otherwise. This tome is without question the best resource on the parables, and a mighty antidote to far-fetched, modern, postmodern, and/or Zen-readings of Jesus’ stories (think Funk, Crossan, Via, and Scott), but misses important subtleties which can change the direction of a parable’s meaning. See my critique of Snodgrass’ take on The Unmerciful Servant King. 5. April DeConick’s Recovering the Original Gospel of Thomas. This book wins the award for “book I most wanted to be convinced by”. I wept and gnashed my teeth when I saw its foundation was quicksand. I have the utmost respect for approaches involving oral history and oral memory, but we need better evidence for applications to a “rolling corpus” model. And I respect DeConick for helping us out of the sappiential wisdom rut which suffocates so many studies of Thomas, but holding gnosticism at bay isn’t the answer. Roll down memory lane for all the hairy details. And though I usually avoid tagging others, I will do so here since I find this a helpful exercise: Stephen Carlson, Mike Koke, Nick Norelli, Chris Heard, and Chris Weimer may consider themselves appointed. UPDATE: See the lists by Stephen Carlson, Chris Heard, Mike Koke, Nick Norelli, Jason Staples, and Michael Whitenton.